The first residents of Barrington were Native American tribes. Some of Barrington’s current roadways were originally Native American trails. In the 1830’s the United States Government paid the Native Americans for the land and shortly after Americans came to settle from New York. Most of Barrington’s history and development coincides with the expansion of the railway from Chicago which today is called the Union Pacific/Northwest Line. In 1890 Barrington had a huge fire resulting in the replacement of businesses with brick and mortar buildings that still stand today. 2015 is Barrington’s 150th anniversary or sesquicentennial anniversary. Barrington has a large number of banks, car dealerships, and is home to the Gatorade Sports Science Institute used in many commercials. Other large and notable companies in Barrington include the headquarters of GE Healthcare IT, defense contractor ISR, the Goodrich Corporation, and commercial real estate developer GK Development. The Barrington Community Unit School District 220 has one high school, two middle schools, and eight elementary schools. The district also has an early learning center. All but one Barrington elementary school received the Illinois State Board of Education’s 2008 Academic Excellence Award. In 2007 and 2008 Grove Avenue Elementary and Arnett C. Lines Elementary were recognized as Blue Ribbon Schools by the U.S. Department of Education. Barrington High receives constant high test scores above state and national averages. Barrington schools offer families great education opportunities. Barrington has a large number of parks and has been recognized as a tree city by the Arbor Day Foundation every year since 1986. Popular parks in Barrington include Citizens Park, Langendorf Park, Miller Park, Ron Beese Park, and Cuba Marsh Forest Preserve. Lagendorf Park offers tennis courts, baseball fields, indoor and outdoor basketball courts, five hole public golf course, meeting rooms and a water park called Aqualusion. Cuba Marsh Preserve is a large wetland preserve with three miles of trails. Every year Barrington hosts a large number of holiday celebrations, festivals, and charity events. There are three yearly parades the Memorial Day parade, Fourth of July Parade ending in a community firework show and Homecoming Parade for Barrington High. Popular yearly festivals include an auto show Concours d’Elegance, Barrington Brew Fest, and Great Taste of Barrington. Barrington Brew Fest takes place in the summer to showcase Midwest microbrewers and local entertainment. The Great Taste of Barrington is a food festival celebrating and showcasing food from local restaurants. On the fourth weekend of September is the Art in the Barn fundraising event to benefit Good Shepherd Hospital. The event displays and sales fine art as well as pony rides and live entertainment and attracts over 6,500 visitors. Charity events hosted in Barrington include CROP Hunger Walk, Relay for Life at the high school, and the Duck Race and Pool Party to benefit Journey Care. People who live in Barrington enjoy being surrounded by lush countryside. Barrington’s larger and more well-known neighborhoods are highly sought after because they offer a lifestyle as well as real estate. 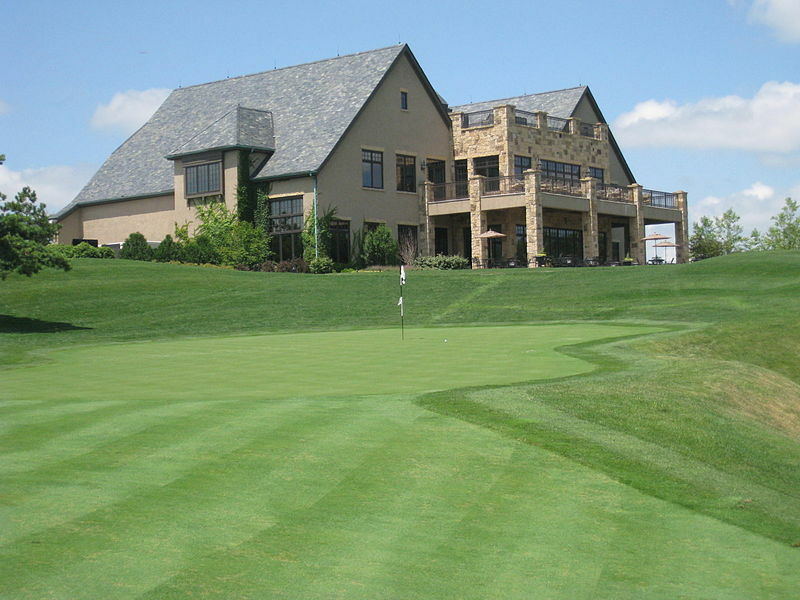 Two of Barrington’s most sought after neighborhoods are Lake Barrington Shores and Wynstone Golf Club. Many of Barrington’s subdivisions are quite small with an average of about 30 homes per subdivision. Some housing communities can be as small as just five or six homes. There are a large number of country estate homes on large lots in Barrington where home owners can enjoy lush acreage and native wildlife. The median price of homes in Barrington is $455,000.